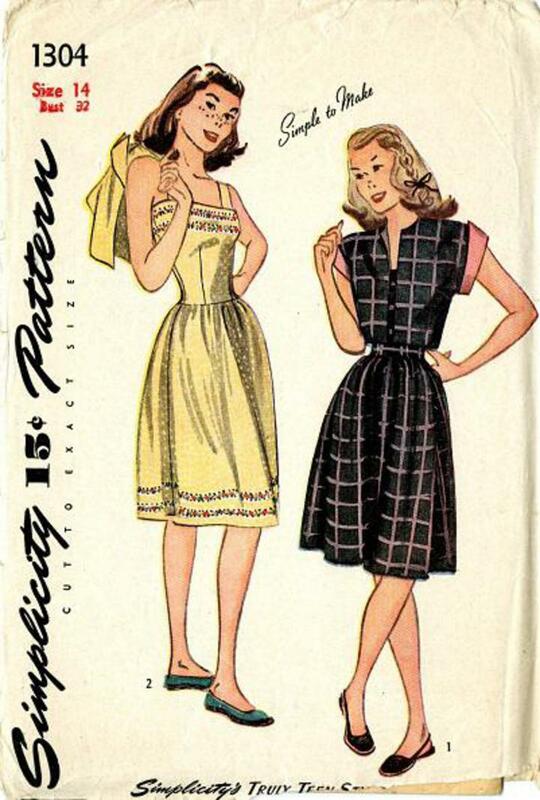 1940 Simplicity #1304 vintage sewing pattern, teen age fitted bodice sundress and bolero. 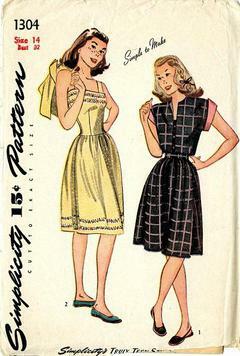 Dart-fitted bodice, finished with shoulder straps joins the softly gathered skirt below the natural waistline. Unprinted tissue pattern, MISSING BODICE BACK PIECE 'B'. Sold AS-IS.